The term communications planning has been used and abused by many agencies to the point of devaluing the discipline, Jonathan Fowles writes. 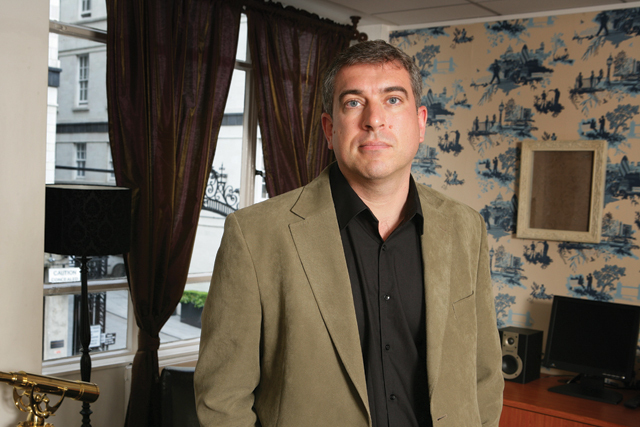 Jonathan Fowles is the head of strategy and insight at Manning Gottlieb OMD. We work in an industry that values clarity of thought and articulate expression of the highest order. Yet, somehow, we also work in an industry where misuse of language is more common than it ought to be. Take communications planning, for example. Now there's a much trumpeted phrase. In fact, I'd like to suggest that it is the single most over-used yet ill-defined concept in our industry. No small accolade. Personal experience and a trawl of agency websites suggests that most media and ad agencies claim comms planning as a core part of their offering. Yet I seriously wonder how many have satisfactorily defined it and, even among those who have, how many operate with it as a genuinely integral part of their approach. Worse, I believe there are more than a few agencies who use it as a meaningless buzz-word to describe what has always been and still remains their traditional core competence of media planning or account planning. Admittedly, the concept of total communication is a rather challenging one to try to pin down. It may help to be clear about what it is not. It's evidently not media planning or account planning, which are both too discipline-specific to live up to a bigger and broader concept. Nor is it engagement planning, as engagement is surely a given in communication rather than an aspiration. Nor do I think it's about focusing on active dialogue with consumers. Immensely valuable as that can be, it overlooks the proven value of high volumes of passive, low-involvement communication. Nor do I buy into the definition that comms planning is about embracing each and every touchpoint of a brand's relationship with a consumer. Laudable as that is, that remains media planning. Or you might call that integrated channel planning, but it still doesn't qualify as comms planning. To date, the communication turf-war debate has been between content and context. Which is more important, which should lead the other? The answer is neither. I believe that the true answer lies in the accepted truth that actions speak louder than words. It has been scientifically proven that our behaviour communicates more than what we say about ourselves. Our body language and behaviour is quantifiably the most important element in human communication. Is this equally true of brands? Until now, this has been hard to pin down as subtleties such as body language and gesture are hard to translate into brand communications and even harder to research as they operate in no small part at a subconscious or implicit level, so they cannot be conventionally or rationally questioned. What's interesting is that there are now a number of new research techniques that are able to unlock people's subconscious associations and feelings towards brands. We have researched people's explicit and/or implicit awareness and appreciation of a set of identified communications behaviours using new response latency techniques. The findings show that brand behaviour drives more than half of brand perception, and as such is the single biggest driver in the entire communications mix of how people feel towards a brand. So I would propose that a defendable definition of comms planning is the ability to blend conduct (behaviour), content and context. Yes, the alliteration may be a little cheesy, and you are under no obligation to agree with me. But it gets closer to how communication works and what its constituent parts are. And I would argue that, if nothing else, it is at least a definition when credible definitions seem thin on the ground. If we are to move the industry on and gain even more influence, we need to be careful about what we claim we do. Clearly, comms planning is a worthy ambition that reflects the fascinating world we live in and the obvious truth that great ideas influence people above either channels or disciplines. And clearly certain individuals and agencies are highly capable of delivering it. But to those who aren't and don't - please don't throw the phrase around to the point where it becomes devoid of meaning.